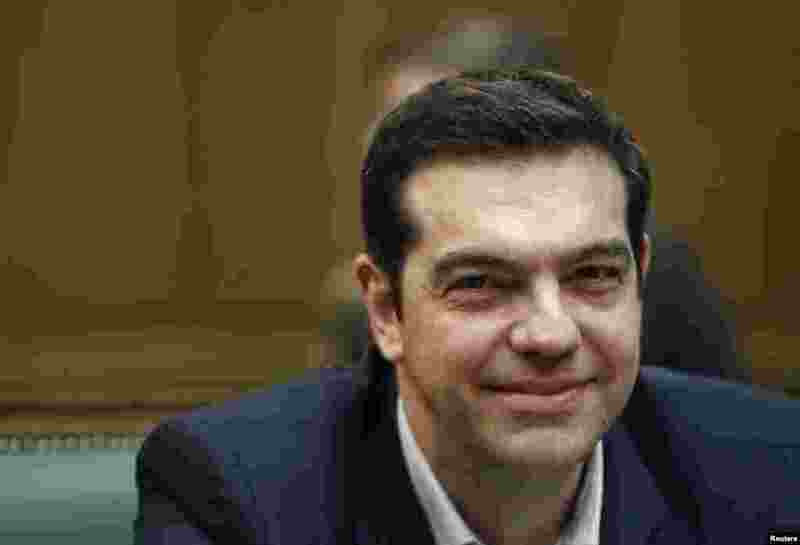 New Greek Prime Minister Alexis Tsipras says he wants to reach a "fair, viable and mutually beneficial solution" with its international lenders as he begins to reverse the austerity measures he says have led to a humanitarian crisis in his country. 1 Greek Prime Minister Alexis Tsipras attends the first meeting of the new cabinet in the parliament building telling his ministers that voters had given them a mandate for radical change, in Athens, Jan. 28, 2015. 2 The Athens stock exchange monitor shows the general index for January 28, 2015. 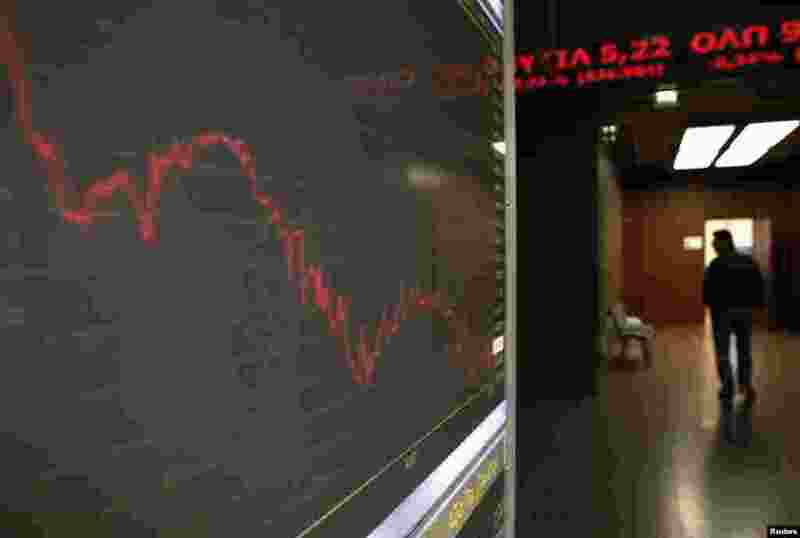 The overall Athens stock market fell almost 8 percent, but the Greek five-year government bond yields hit around 13.5 percent, their highest level since a 2012 restructuring that wrote off a large proportion of Greek debt held by private investors. 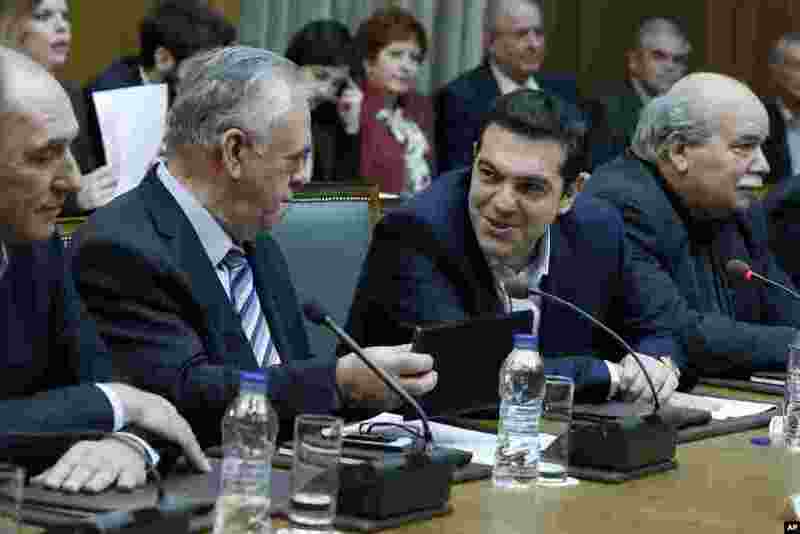 3 Prime Minister Alexis Tsipras (2nd right) and Deputy Prime Minister Giannis Dragasakis chat during the first cabinet meeting of the new government at the Parliament in Athens, Jan. 28, 2015. 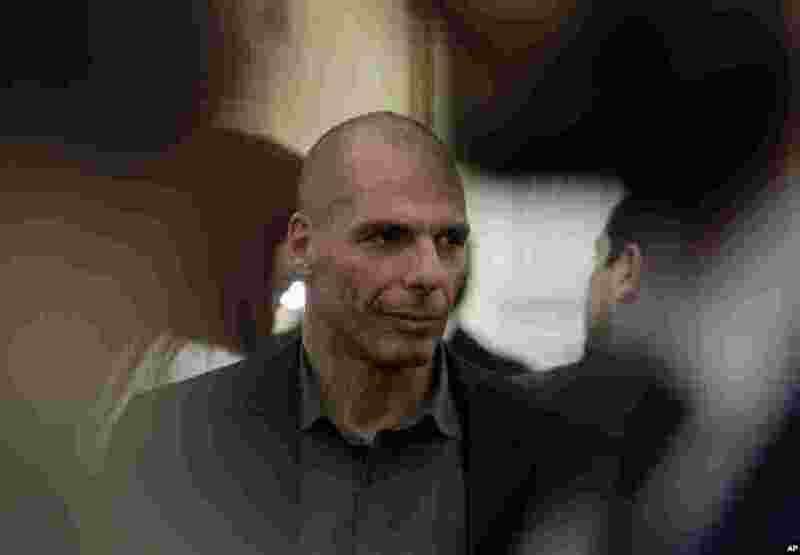 4 Finance Minister Yanis Varoufakis, an outspoken critic of the austerity measures, after being sworn in at the presidential palace in Athens, Jan. 27, 2015.